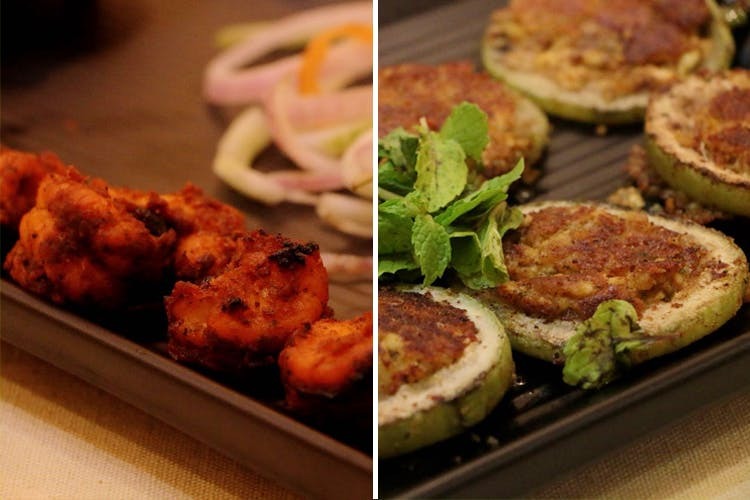 Versova is now home to a quick-service restaurant that is serving up three different cuisines. This is why Ohanna’s worth it. A sangam of Indian, Asian and Middle Eastern cuisines, Ohanna is Versova’s newest wonder baby. A yellow-coloured, 10 seater eatery that’s spreading culinary cheer in Versova, Ohanna’s should be on your list of places to hog at. Why? Because they have mastered the art of serving three entirely different cuisines with the same amount of love. Whether it’s vegetarian Lebanese (hummus with kuzbeh, spinach sambousek) or meat-heavy Bengali (fish kaalia, malai fish) or if you’re in the mood for something else go for their Kashmir ka dhamaal, Maharashtra Kokan ki subzi or mutton boti kebab. Also, can you ever go wrong with chilli chicken? Think about it. The eatery may not have a lot of space, but is space the only thing that can accommodate you? We think not. Go on, place that order while you watch your favourite show.